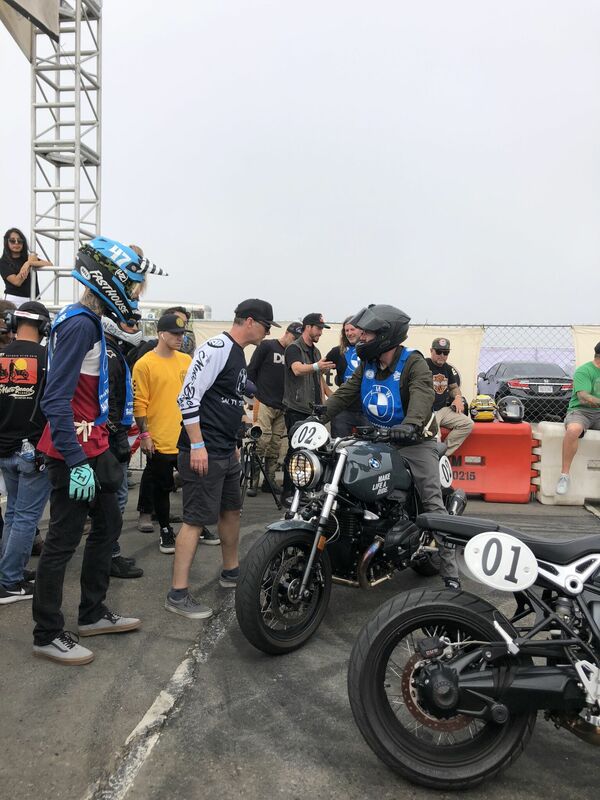 This past weekend I had the pleasure of experiencing the Moto Beach Classic (MBC); the 2nd annual event put on by the one and only Roland Sands and his team (RSD) based in Southern California. The event was the epitome of Southern California cool and hands down the BEST event I went to in all of 2018. “The inaugural Moto Beach Classic started out as a wild idea from the mind of Roland Sands and crew and developed into a Southern California motorcycle cultural explosion.” (www.MotoClassicEvents.com) And this year’s MBC, in partnership with the Surf City Blitz, took that wild original idea and turned it into a stellar success that rocked the worlds of both motorcycles and music. This year’s sold out, two-day festival was the perfect blend of California culture including: Super Hooligan National Championship presented by Indian Motorcycles, BMW Salty Sprint Races, the ultimate punk-rock lineup (The Offspring, Social Distortion, Pennywise, Rancid, Suicidal Tendencies, Bad Religion, FEAR, TSOL, etc), West Coast Board Rider surf competitions, Dunlop’s Stacyc Kids course, Bell Helmets Stunt Show, Moto Classic Bike show by Vance & Hines, Architects of Inspiration Art Show presented by Husqvarna, an epic vendor village, and every other rad SoCal platform you could possibly imagine. And lets not forget about the reveal of the RSD Hooligan + Indian Motorcycle FTR 1200; a beast of a bike that had everyone drooling. 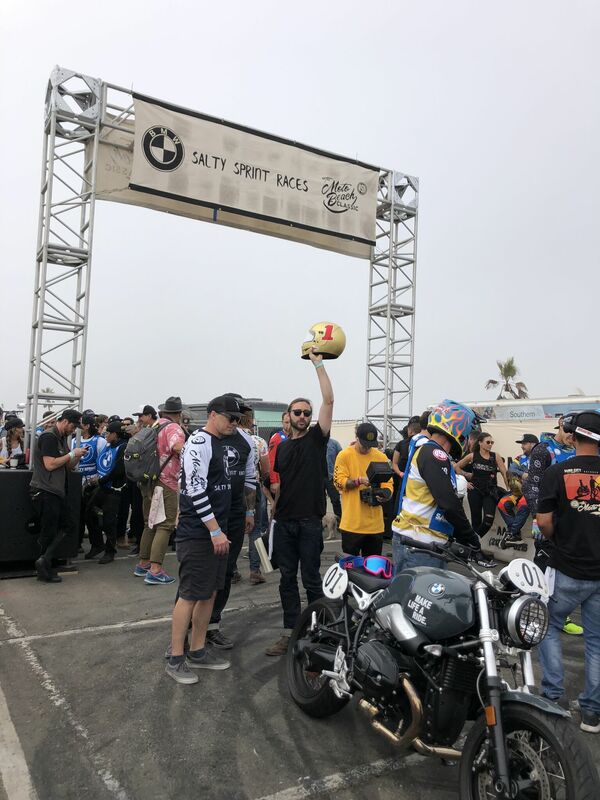 Given the success of RSD’s first Moto Beach Classic, which was a sold-out one day festival back in October 2017, it was a no-brainer that their second go at the event would be a success; however I think the event made more of an impact that anyone could have imagined. 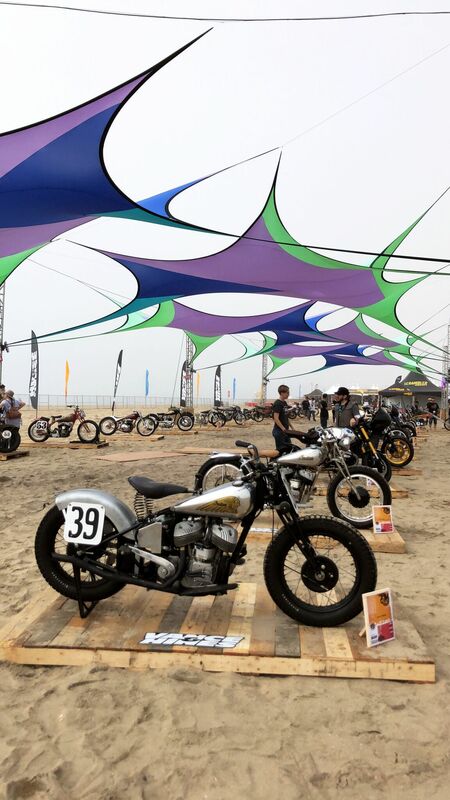 The 2nd annual Moto beach Classic brought the motorcycle culture to an entirely new level of engagement, and I believe it is a force to be reckoned with, specifically because it’s the kind of platform that is going to keep the moto-industry alive and thriving. 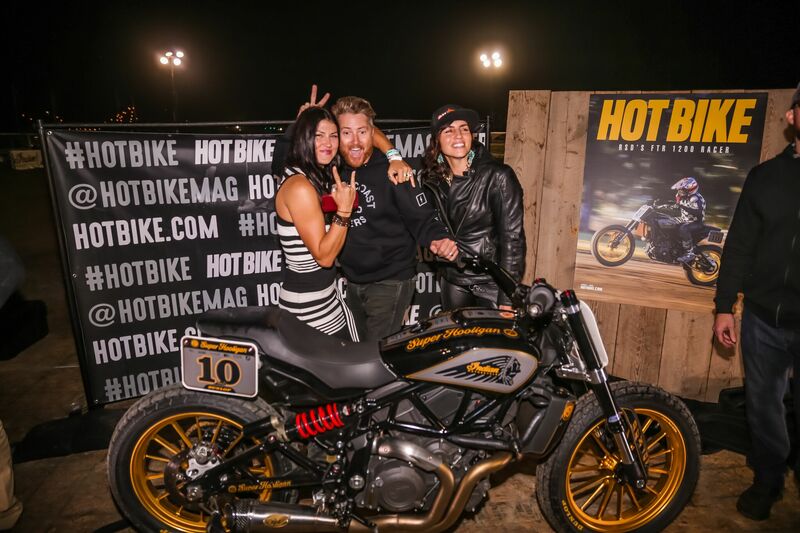 What Roland Sands and his team have achieved with the Moto Beach Classic, as well as with its sister event Moto Bay Classic, are not only a stellar success, but a driving force that’s going to take the motorcycle industry to a new realm of engagement. 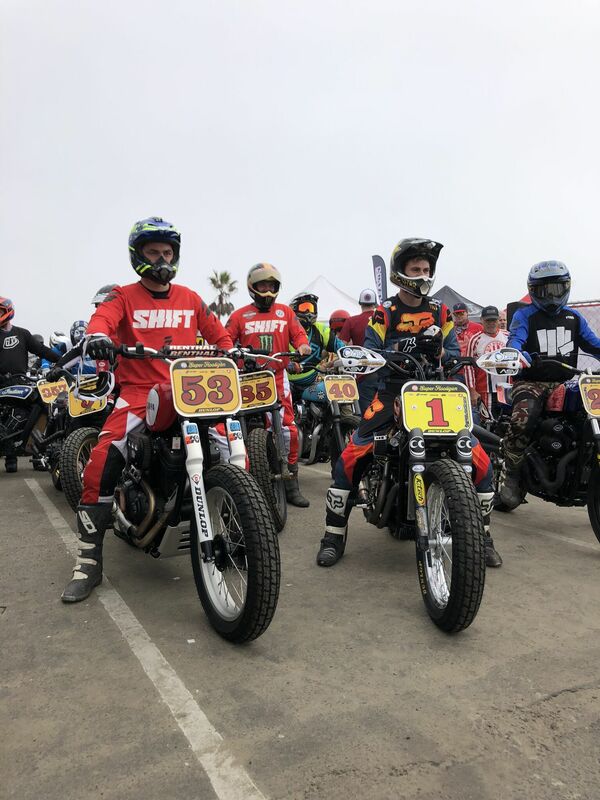 The Moto Beach Classic, in partnership with the Surf City Blitz music festival, collaboratively had over 20,000 attendees daily, and those numbers are unheard of in the current realm of up and coming moto-industry events. And I believe this growing flame is simply the result of cultural collaboration. I’ve always believed that teamwork makes the dreamwork, and the Moto Beach Classic’s partnership with the Surf City Blitz is a perfect example of that; it’s the result of an elite team of industry leaders working together to create something unique for the masses. What the RSD team and it’s partners are accomplishing are what’s going to help the motorcycle industry regain its strength and fellowship, and keep the number of riders growing and thriving. Mark my words, the Moto Classic Events are a must-attend spectacle, so make sure to mark your 2019 calendars, you don’t want to miss these moto-movements. *Note: The number of motorcycle riders at the event is currently unknown given its recent completion.